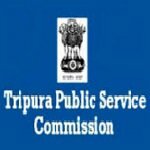 Tripura PSC Dental Surgeon recruitment 2016-17 apply for 84 posts : Tripura Public service commission (TPSC) welcomes application for the position of 84 Dental Surgeon and Agriculture Officer vacancies. .Candidates who completed their Dental Qualification, Degree is a good opportunity.The individuals who are the occupation seekers searching for govt employments in Tripura this is the best chance to apply. Competitors read the official notification then read all the guidelines and miners precisely then apply before the last date online application got. All the interested and eligible candidates can apply before 30th July 2016. Candidates Age Limit: The age of the candidate is up to 40 years. The age of the applicant should be as in 30th July 2016. Academic qualification details: Candidatesshould have recognized dental qualification included in Part – I and III of the schedule of the Dentist Act, 1948 as appended to this schedule. Academic qualification details: Candidatesshould have bachelor degree in agriculture / horticulture from a recognized university / institute. For Group A posts: Rs 200/- for general categories candidates and 150/- for schedule caste categories candidates (SC) / schedule tribe categories candidates (ST) / BPL card holders / physically handicapped categories candidates. For Group B Posts: Rs 150/- for general categories candidates and Rs 100/- for schedule caste categories candidates (SC) / schedule tribe categories candidates (ST) / BPL card holders / physically handicapped categories candidates. The four pages application form printed in color font will be available from all branches / extension counters of Tripura gramin bank in the state of Tripura on deposit of the prescribed recruitment fee through the special deposit slip to the account number 14711 in the favor of Secretary, T.P.S.C. Process of applying for the job: All the interested and eligible candidates may apply in prescribed application form duly filled in by the applicant and two copies of recent stamp size photograph of the applicant affixed on the application and admit card along with the copies of self – attested certificates / self – addressed envelope bearing postage stamp of Rs 5/- to be submitted to the Reception counter of the Tripura public service commission, secretariat on or before 30th July 2016. Important Dates: All the interested and eligible candidates can apply before 30th July 2016.